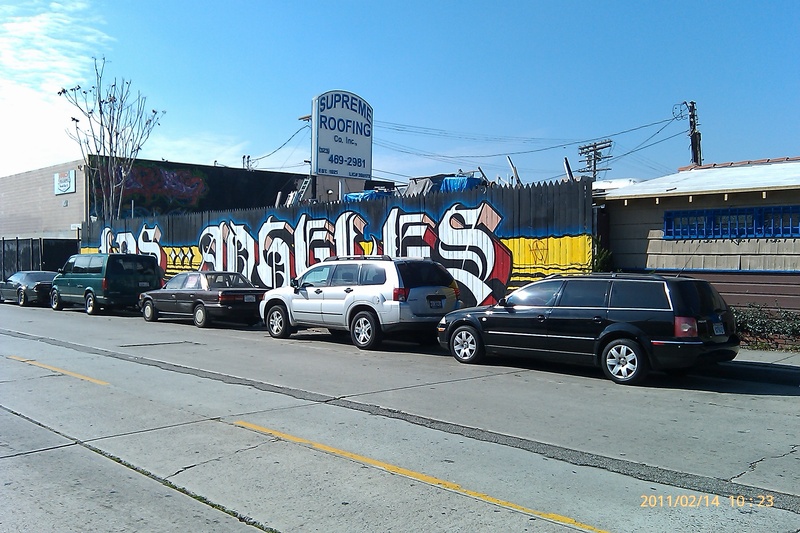 L.A. the Blog: What’s up with graffiti in Hollywood? 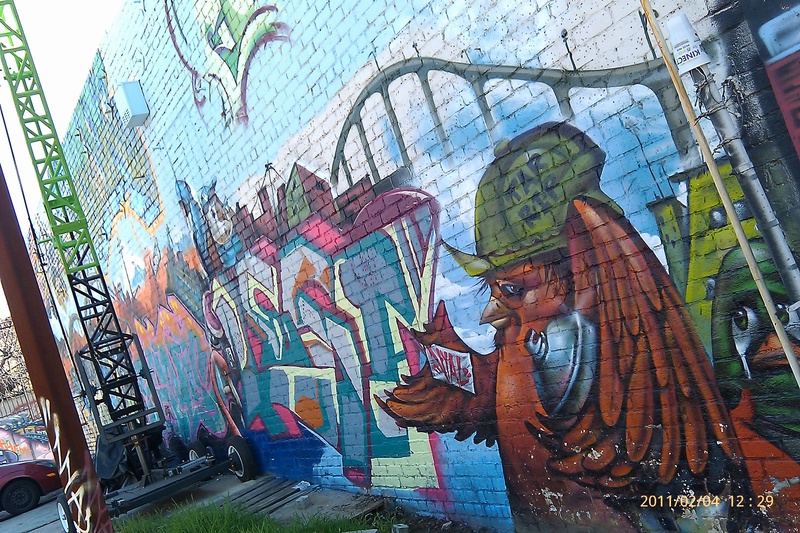 Everyone knows you can get a good look at some of L.A.’s graffiti artist by cruising Melrose between and around Fairfax and La Brea Ave., but if you’re interested in digging a bit deeper, just off the beaten path in Hollywood some real treasures exist. For instance not less than a half mile from the well-known shopping area on North Gower Street tucked behind Paramount Studios sits a plethora of industrial spaces transformed from the dull white or gray into something out of the 80’s. The next hidden street gallery, though only consisting of two real walls that have been exploited is much closer to the Melrose shopping district, on the corner of Melrose and Highland Ave.
Last in this piece (ha, get it piece!) is another new location that is still under work and put up in 2010. It is at the corner of Edgewood and La Brea Ave rivaling the Paramount spot in breadth and variety. The spot is further than the other two location, but definitely worth the drive. If you go be sure to travel a little further down on La Brea and you can catch MBW’s send off to the Academy Awards (and most likely Exit Through the Gift Shop), Storm Troopers and all. Before it was a tribute to Charlie Chaplin. L.A. the Blog is trying to figure out if MBW licensed the storm troopers from Lucas Films LTD. We will keep you updated. Please look at a complete set of pictures in the gallery below. While there are numerous spots in Hollywood to look at great graffiti, we will try to bring them all as we come across them. Best! 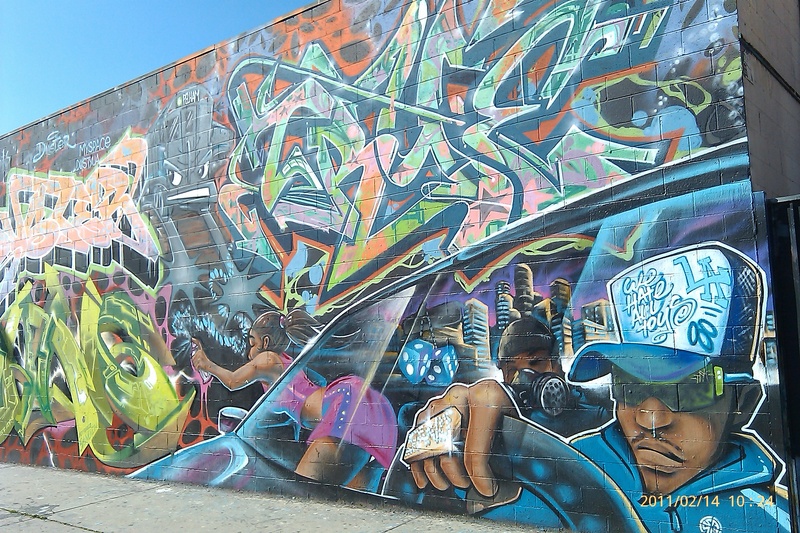 This entry was posted in Art, culture, Graffiti, Hollywood, L.A., LA, Los Angeles, LosAngeles, Photographs, Photos, Star Wars and tagged art, awr, graffiti, hidden, Hollywood, L.A., L.A. the Blog, LA, Los Angeles, MBW, msk, off the beaten path, Paramount, Paramount Studios, revok, star wars, Storm Troopers, visual. Bookmark the permalink.